CSA stands for Community Supported Agriculture, a business model that allows people to invest in and support local farms (and farmers), in exchange for a share of the goods grown on the farm. A flower CSA is no different! 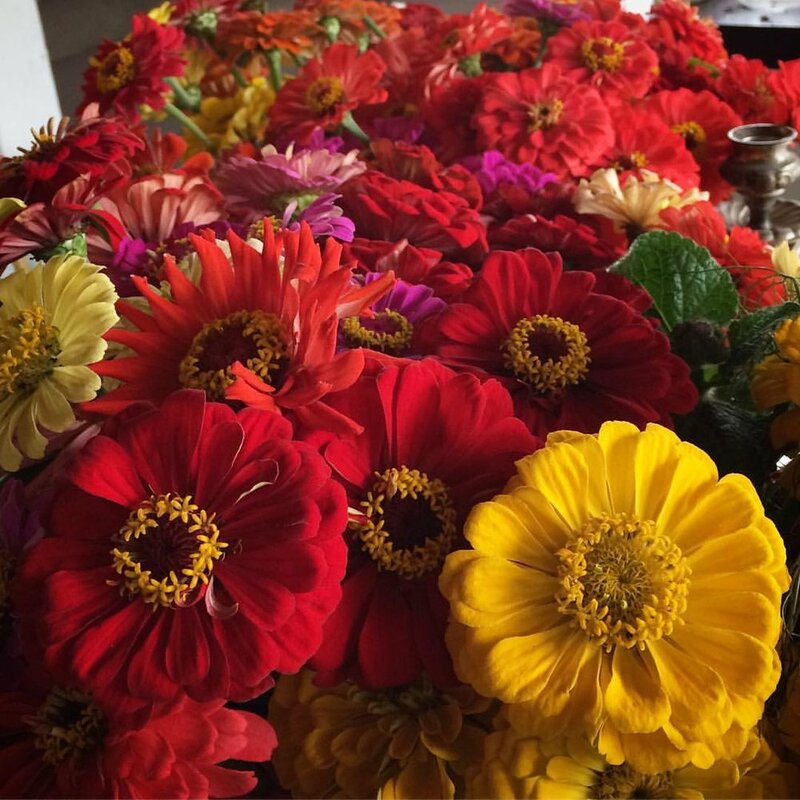 You buy a share of the Flowers By Phoebe’s 2019 flower season grown by Scott and Kate at Single Tree Farm and get fresh, lush bouquets in return for your investment. Your membership payments in early spring help to buy seeds, bulbs, stakes, weed barrier and row covers and in return you receive beautifully arranged bouquets on a weekly or bi-weekly basis for 12 weeks during the peak growing season of June through Sept. There are other benefits to being a CSA member, including early access to design workshops, seasonal tours of the gardens, and the deep satisfaction of knowing that you are an integral part of bringing a local and sustainable flower farm to the Goshen area. Choose your option below and sign up! The 2019 Floral Summer CSA membership also has the option of adding a Spring and/or Autumn Floral CSA. 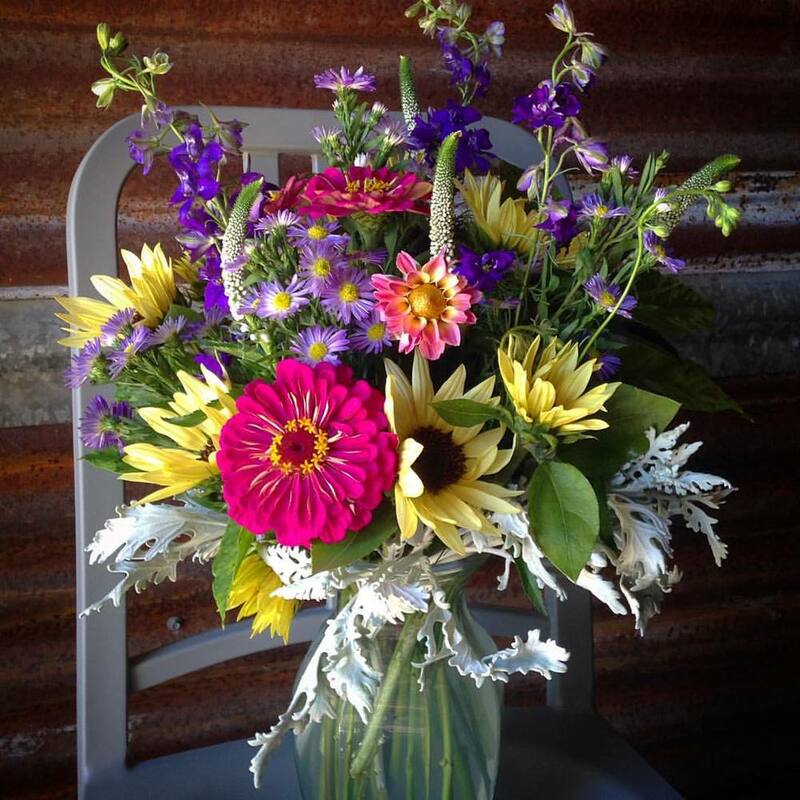 These options allow Summer CSA members to extend beautiful bouquets into the months of May and October. See more details below. You will receive a lush hand tied bouquet every week for 12 weeks beginning the last week of June and extending into September (12 bouquets in all). Each bouquet will be designed with care and will feature a variety of the freshest blooms from the fields. Bouquets are available for pick up on Tuesday or Friday afternoons at the Flowers By Phoebe studio in The Local Co. 132 Gallery in downtown Goshen and at various other distribution sites which will be announced in early May. Care instructions and floral solution are provided with each carefully wrapped bouquet. Full Share CSA members will also be given advance notice to sign up for all workshops, and access to special garden tours and plant giveaways. Sign up and send in your payment before December 31, 2018 and receive a free bouquet in June! See the Online Shop to purchase this share! If ordering online seems intimidating, come see us at the Studio during normal business hours and we’ll walk you through the process. You will receive a lush hand tied bouquet every other week for 12 weeks beginning the end of June and extending into September (6 bouquets in all). Each bouquet will be designed with care and will feature a variety of the freshest blooms from the field. 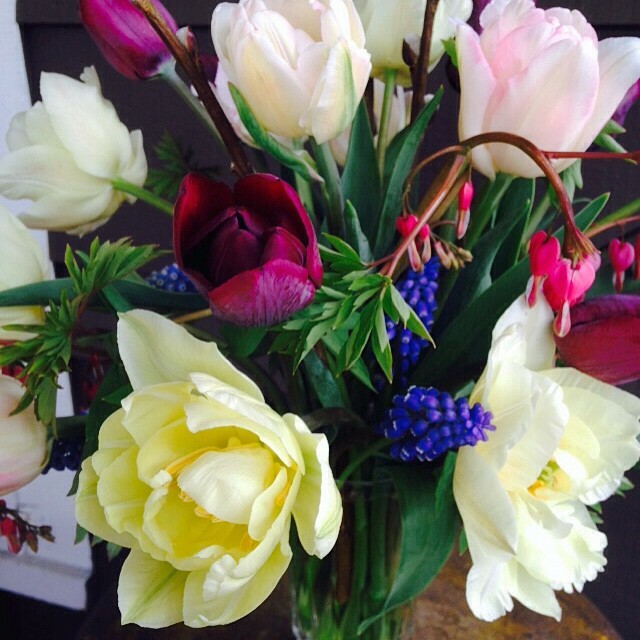 Bouquets are available for pick up on Tuesday or Friday afternoons at the Flowers By Phoebe studio in The Local Co. 132 Gallery in downtown Goshen and at various other distribution sites which will be announced in early May. Care instructions and floral solution are provided with each carefully wrapped bouquet. Full Share CSA members will also be given advance notice to sign up for all workshops, and special access to garden tours and plant giveaways. Sign up and send payment before December 31, 2018 and receive a free bouquet in June! If you would rather not make your purchase online, come see us at the Studio during normal business hours. Get the earliest blooms from the fields to chase the gray of winter away! These lush hand tied bouquets will include peonies, ranunculus, poppies, lilacs and flowering branches in 4 special deliveries in May, beginning the week right after Mother's day! See the Online Shop to purchase this add on or come see us in the Studio during normal business hours. Extend your enjoyment of flowers to the very end of the blooming season! Some of the biggest and brightest blooms come during the cooler months of Autumn, including Dahlias, Sunflowers, Brain Celosia, and Flowering Kale. With this add on, you will get to enjoy flowers right up until the leaves turn. Begins middle of September and runs for 4 consecutive weeks through the middle of October.